Ilminster Carnival is part of the South Somerset Federation of Carnivals which also consists of Wellington, Chard and Taunton. 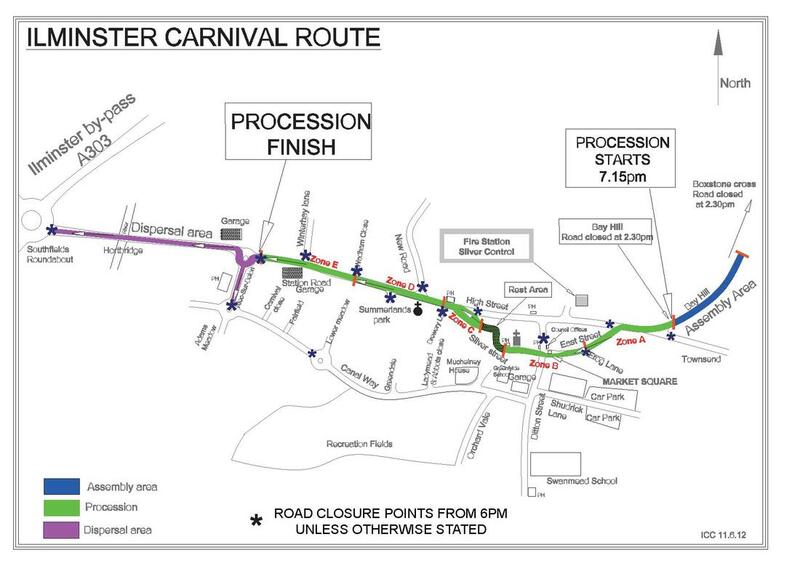 The streets of Ilminster will be an exciting blaze of colour as the Ilminster Carnival takes place. The procession of illuminated floats is part of an ancient tradition. The floats can be up to 100 feet long and covered in thousands of light bulbs. These magnificent entries consisting of Floats, Majorettes, Walkers and Dance Troupes are the result of many months of hard work by the clubs. We hope to raise as much money as possible to go back into the town of Ilminster and to ensure the carnival continues for years to come. Young people and youth groups from across Ilminster and beyond will be meeting at the Ile Youth Club from 12.30pm with judging at 1pm before the processions starts at 1.45pm. The parade will go form the youth club into East Street, Silver Street, Strawberry Bank, North Street, East Street and finish back at the youth club.